Take a voyage into Caribbean lore without sacrificing modern comforts or conveniences at Parador Guánica 1929, a meticulously decorated and fully equipped resort tailored for everything from family vacations to romantic honeymoons to business or church retreats. Built in 1929 and originally known as the American Hotel, our Parador boasts classic architecture that transports you back in time to the early days of American rule in the territory. Despite our inn’s stately façade, exquisite decorations and rich historical significance, you will find a plethora of modern amenities at your fingertips. 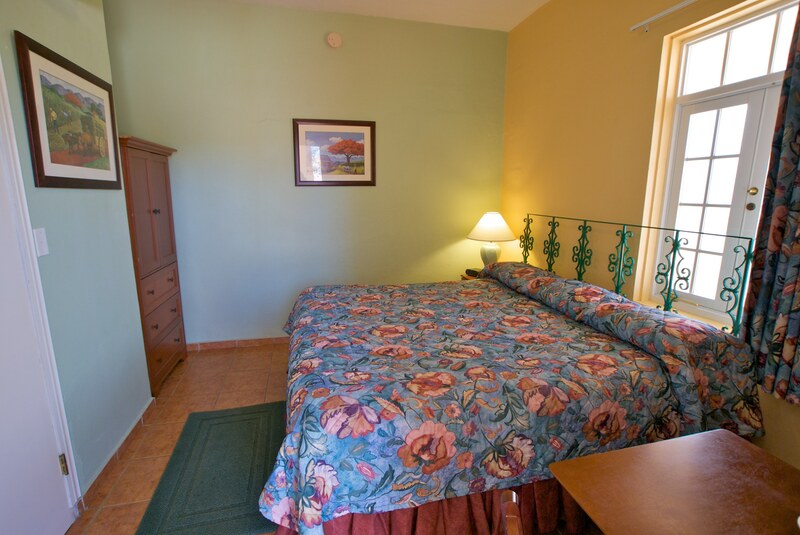 Our guestrooms feature air conditioning, satellite TV, a refrigerator, a private bathroom and other conveniences. 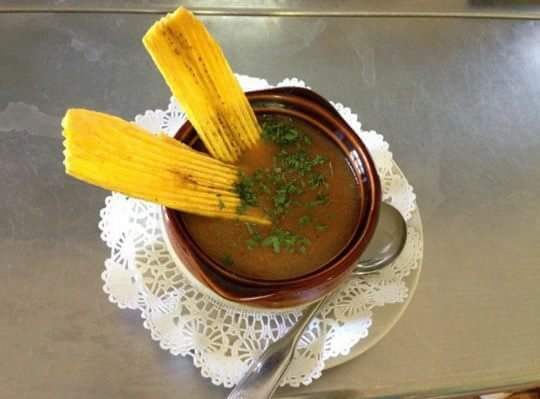 Our indoor-outdoor dining venue, boasting a full menu of local favorites and seafood dishes, comes complete with room for meetings or events and an outstanding view of Ensenada Bay. 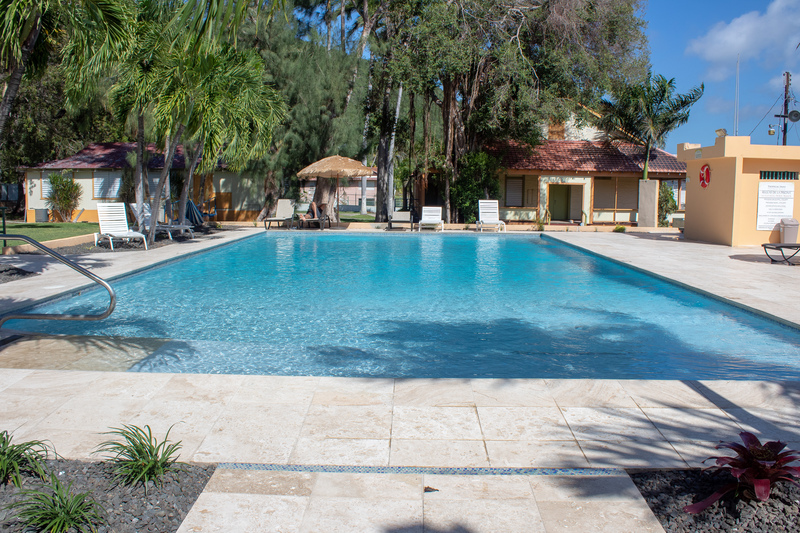 Our dual swimming pools allow adults to enjoy poolside privacy and kids to play at their own pace, while our basketball court invite you to stay active even in the most relaxing of locales. 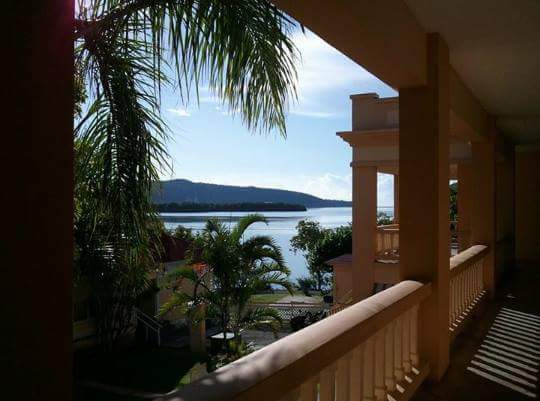 Our Guánica hotel is perfectly positioned for easy travel in southwest Puerto Rico. 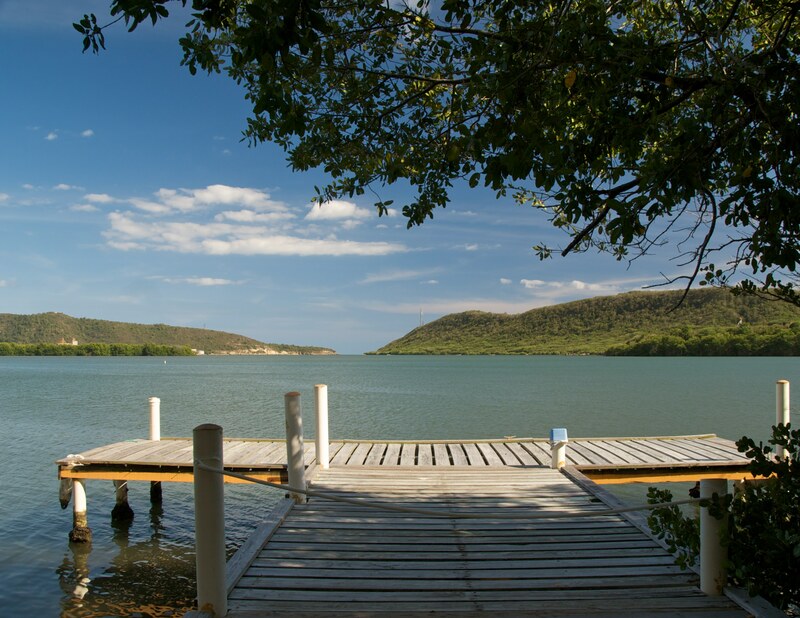 We are located just minutes from the Guánica Dry Forest and other attractions, directly on the sparkling shores of Ensenada Bay. 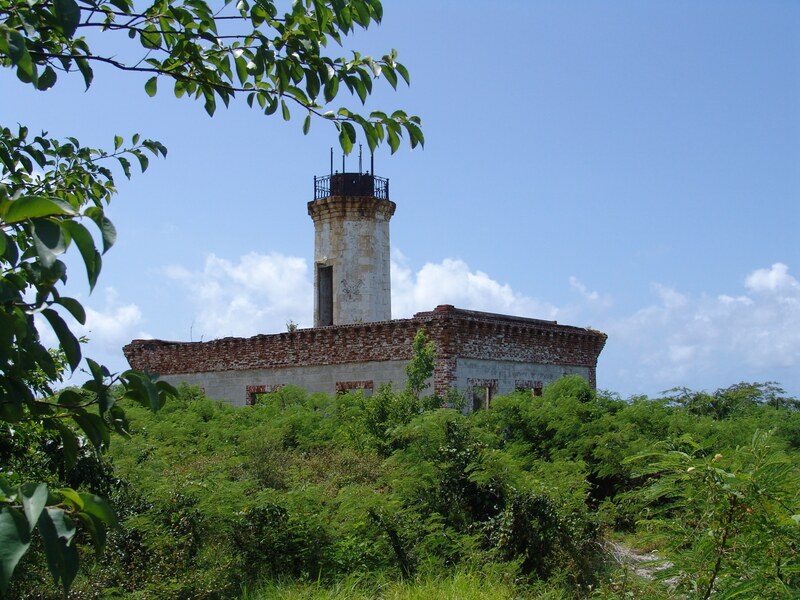 The forest offers endless opportunities for outdoor activities, and historic attractions such as the Guánica Lighthouse and Capron Fortress sit within easy reach of our inn. Take advantage of our All Inclusive Family Offer and visit Parador Guánica 1929, where everyone is a part of our family. 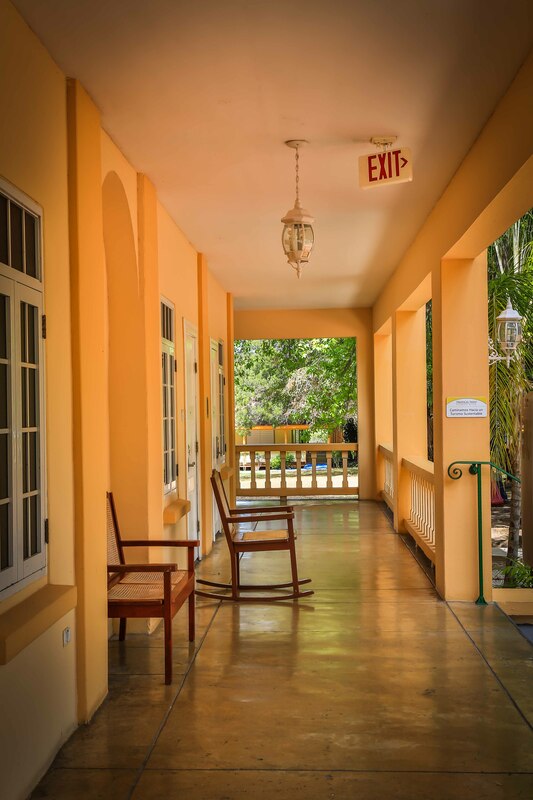 Parador Guánica 1929 boasts 27 of the best rooms at any inn in Puerto Rico. 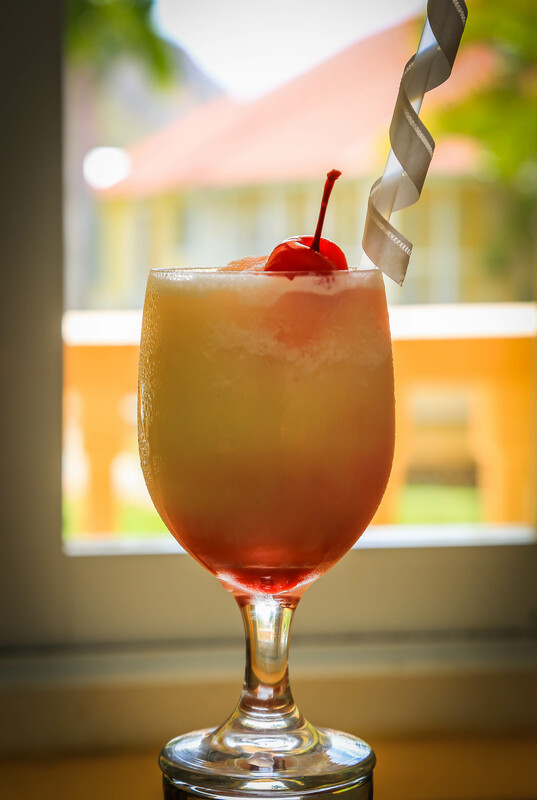 Our tropical-style accommodations provide modern comforts in one of Puerto Rico’s most historic locations. From satellite TV to a phone and an alarm clock, you’ll be able to keep pace with the world while escaping temporarily to the friendly shores of Puerto Rico. 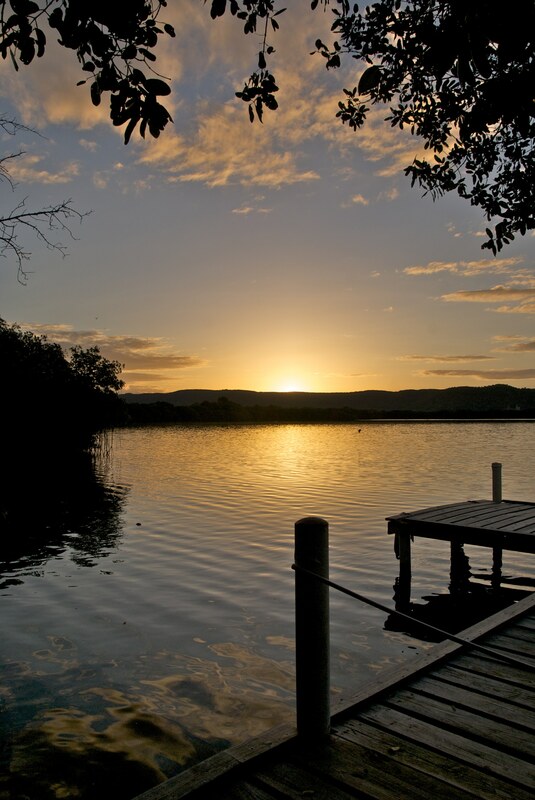 Our nightly rates place an emphasis on budget, making family trips a possibility even for budget-conscious travelers. 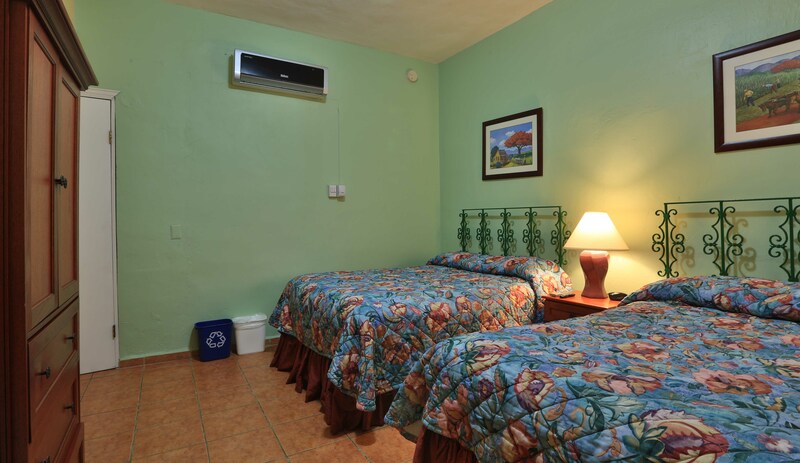 We tailor our rooms to provide space and comfort while maintaining the level of intimacy you would expect from a premier Guánica hotel. Learn more about traveling on a budget with our All Inclusive Family Offer. The amenities don’t stop at the guestroom doors at Parador Guánica 1929. When you leave your room to explore the island you’ll be greeted by a host of luxurious and convenient perks to make your stay perfect. 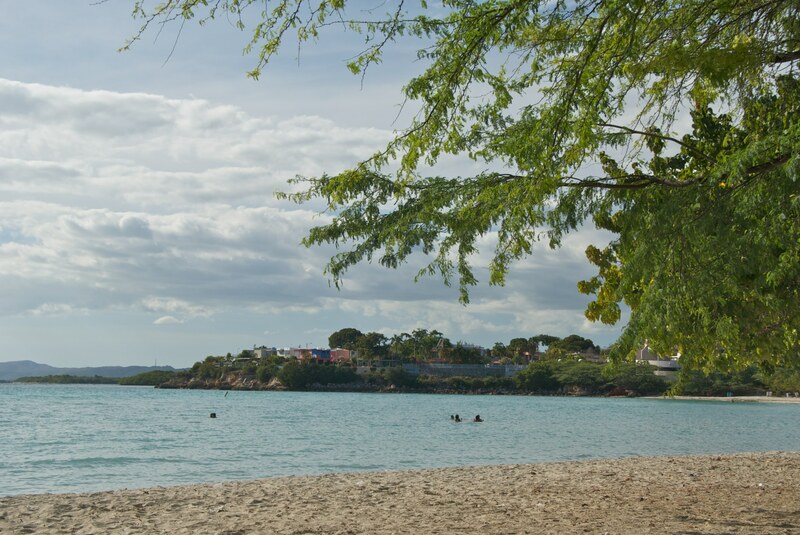 Puerto Rico family travel is simple, easy and fun at Tropical Inns. 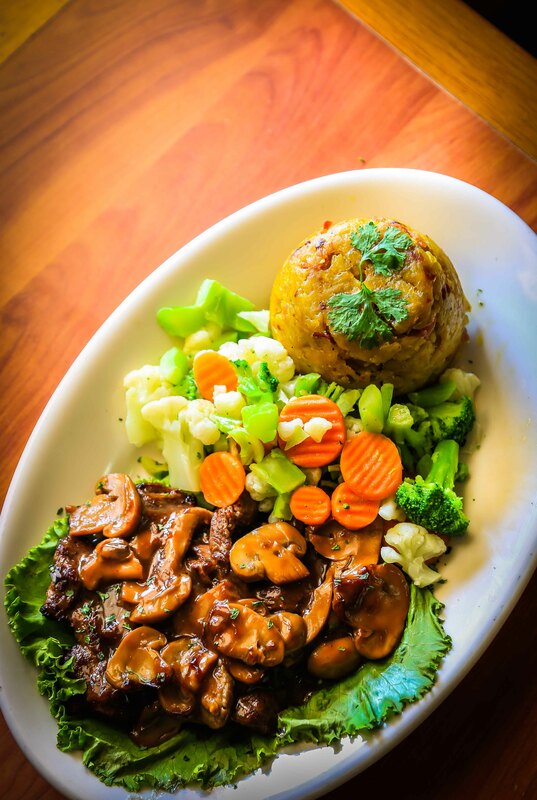 Our full-service restaurant offers breakfast, lunch, dinner, dessert, and soft drinks serving Puerto Rican favorites made with the finest ingredients. Our fitness center, swimming pools and basketball court offer opportunities to stay active on your vacation, and we offer travel essentials such as guest laundry, high-speed Internet access and a secure electronic lock system. 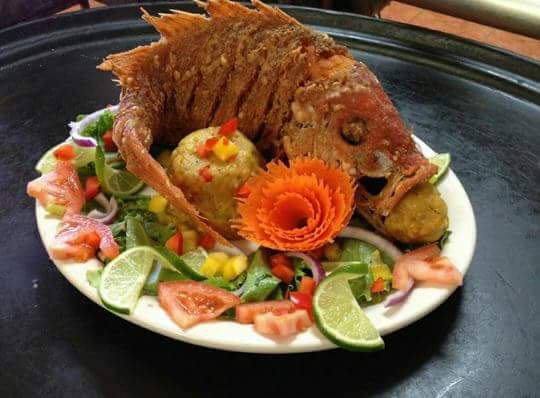 The restaurant at Parador Guánica 1929 serves a variety of fresh local favorites and savory seafood dishes, all made from high-quality ingredients and prepared with care by our culinary team. Our dining room is air conditioned for ideal comfort no matter the conditions outdoors, and our open-air restaurant balcony provides views of our immaculately landscaped pool area. We have set aside a number of places for lounging, including a hammocks area and separate kids’ and adults’ pools. Our basketball court provide even more opportunities to take advantage of the pleasant Puerto Rico weather. 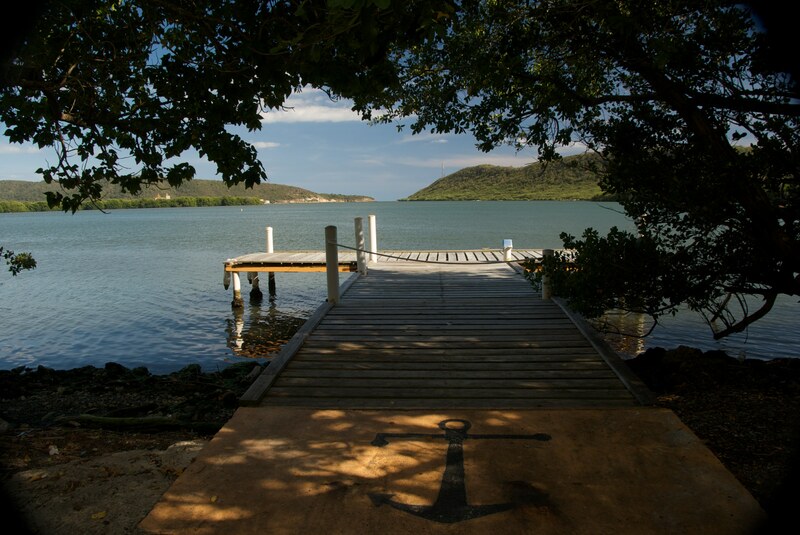 Our Guánica resort believes your comfort and safety are of paramount importance. 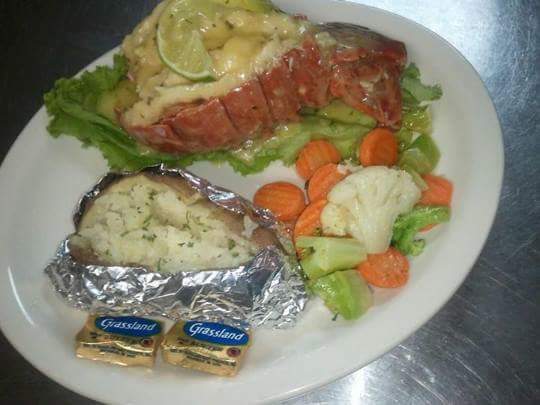 You can access the web via our high-speed Internet service available at our restaurant or recreational areas to check work emails and keep up with the world at home. Our on-site guest laundry service features a coin-operated washing machine and dryer. Our electronic locks on room doors and the main entrance ensure your security, and we have a working Automated External Defibrillator on the premises in case of emergency. We also offer free parking for our hotel guests. The sun-drenched grounds of Parador Guánica 1929 serve as the perfect setting for Puerto Rico weddings and events. With an inviting banquet hall featuring historic balconies overlooking our manicured grounds and beautiful Ensenada Bay, we can host intimate weddings guaranteed to provide lasting memories. You won’t have to do it alone when you enlist our Puerto Rico wedding planner to make sure everything is in order. 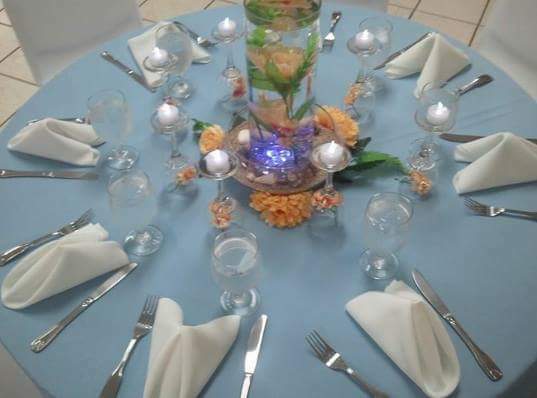 Our Puerto Rico wedding planning team has experience hosting ceremonies and events on the island, and can assist with set up or catering, among other aspects of your event. Every last detail of your celebration will be perfect, from perfectly prepared meals specifically tailored to your guests’ tastes to our dining room’s scenic location overlooking the harbor. 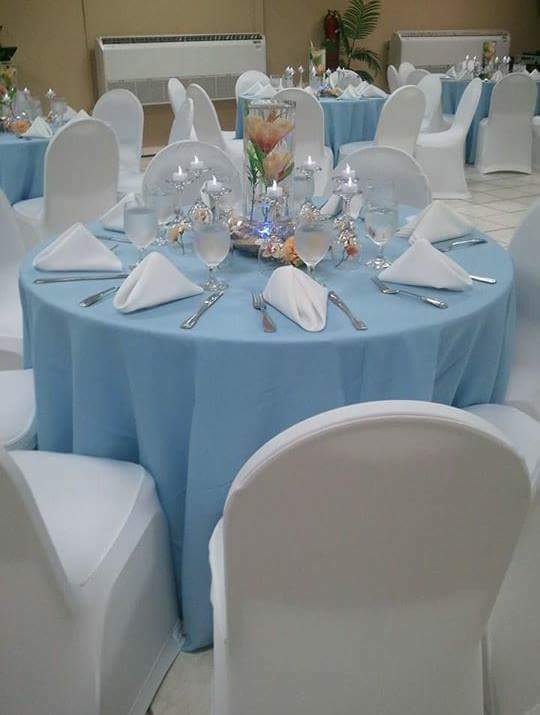 Our banquet facility includes air conditioning and outdoor balconies, making it ideal under any weather conditions. 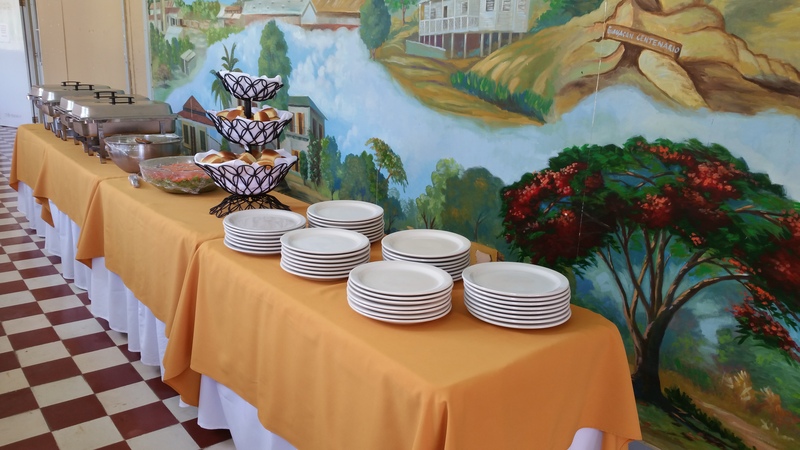 When they aren’t attending at your rehearsal dinner or wedding reception, your guests will find plenty to love about Parador Guánica 1929, from its 27 welcoming guestrooms to its top-notch recreational features and prime location in southwest Puerto Rico. 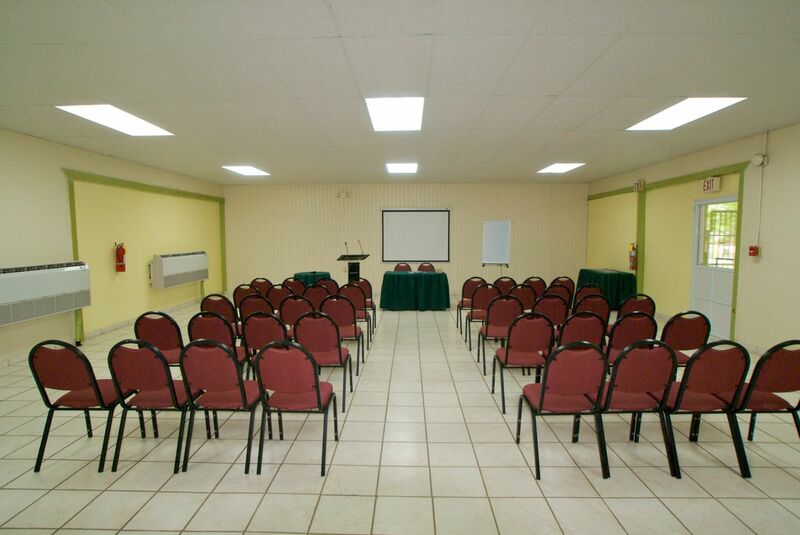 Our harborside hotel is perfectly equipped for events such as church retreats or family gatherings. 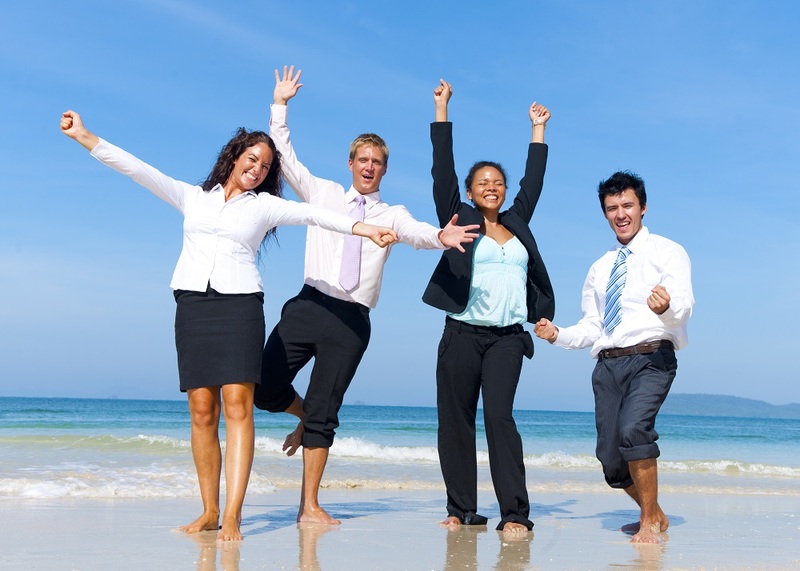 Our bay view hotel also can handle group travel for other events, such as church retreats or family getaways. 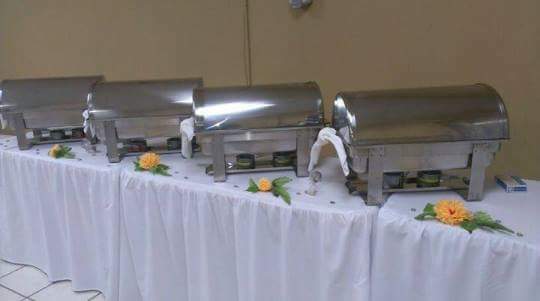 Our banquet hall is large enough to host family reunions or gatherings, and our dining and catering service can be tailored to your group’s tastes. Start planning your wedding at Parador Guánica 1929 by submitting a Request for Proposal. 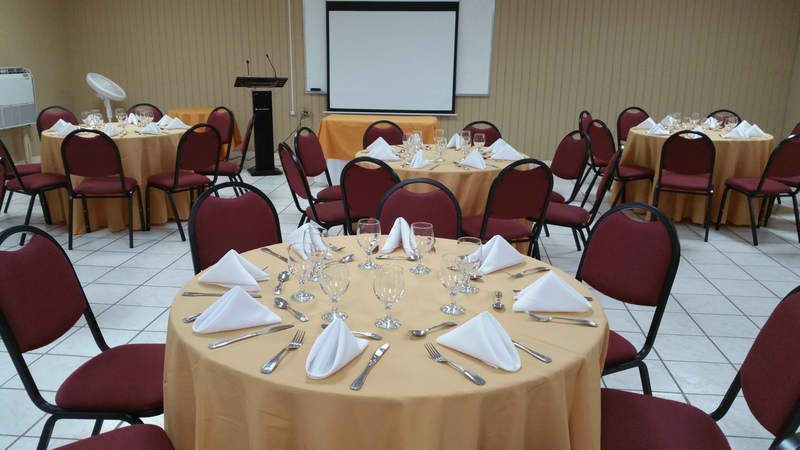 Parador Guánica 1929 is the ideal location for your next Caribbean meeting or group gathering. 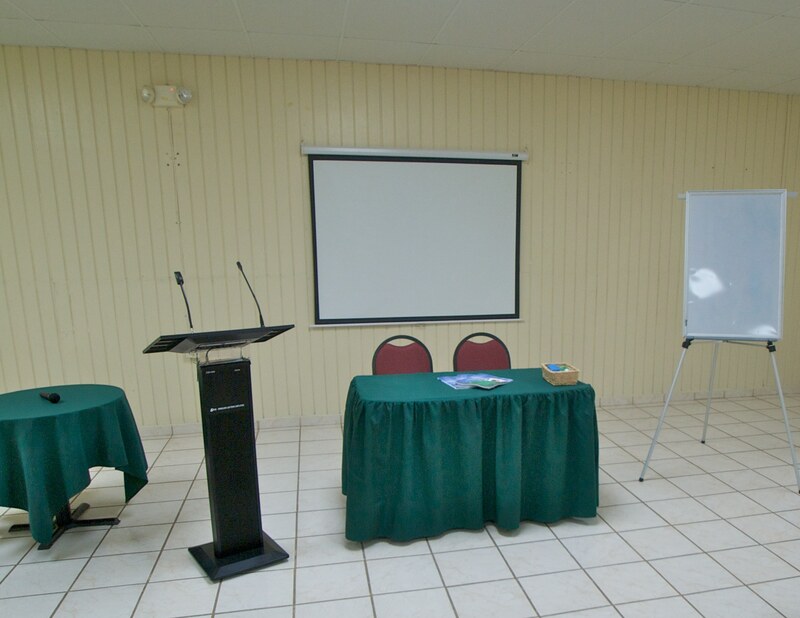 Our inn’s convenient location near both Ponce and San Juan make for a perfect venue in southwest Puerto Rico for group travel, meetings or events. 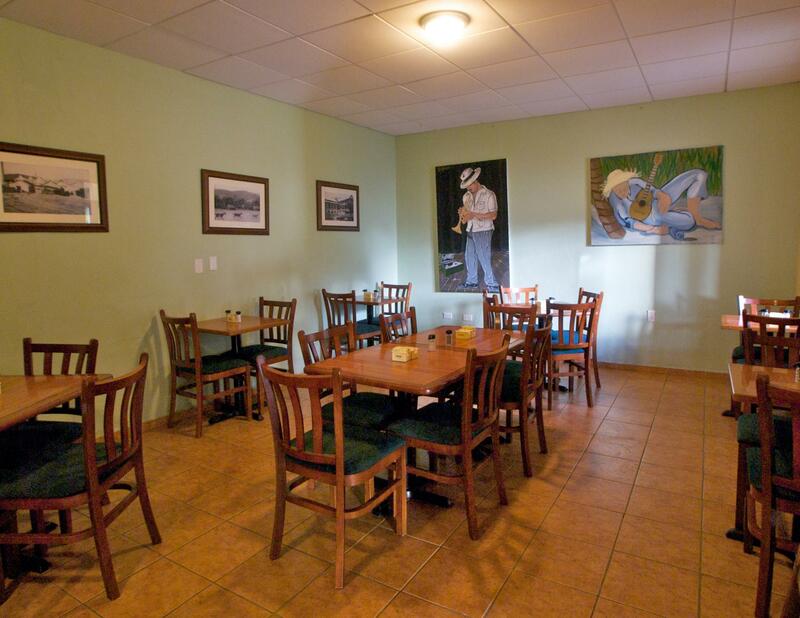 Hold your next Caribbean meetings in our air conditioned dining area, outfitted with state-of-the-art business necessities such as high-speed Internet access and a view of scenic Ensenada Bay. 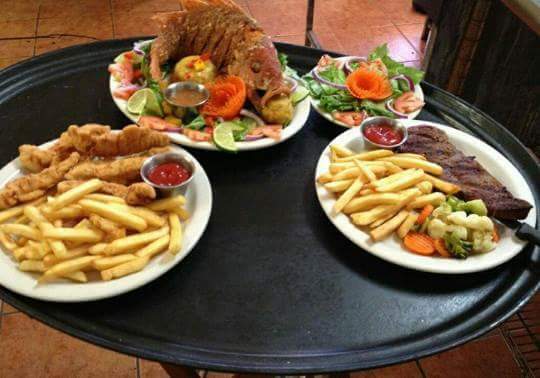 Our in-house restaurant serves a fantastic selection of Puerto Rican favorites, seafood and vegetarian dishes made to order, and our experienced staff will serve beverages along with setting up tables and chairs for your event. With 27 comfortable guestrooms perfect for group travel, we can handle group bookings of almost any shape and size. 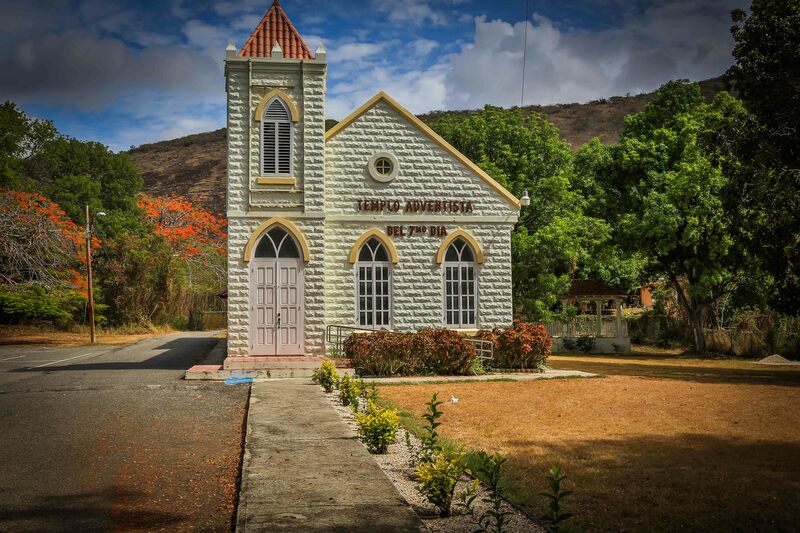 Our recreation facilities offer space for retreat activities such as swimming or basketball, and our proximity to hiking and other outdoor undertakings at the Guánica Dry Forest ensures plenty of opportunity for exciting group travel. 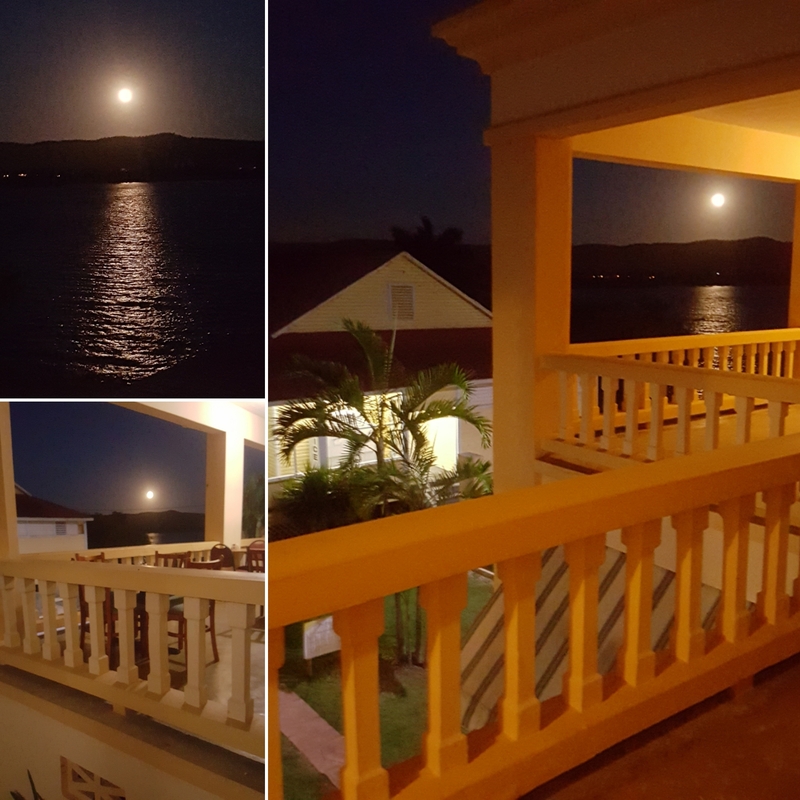 Our Guánica hotel is accessible by car from San Juan Luis Muniz Marin International Airport (SJU), Puerto Rico’s main connection to neighboring countries. 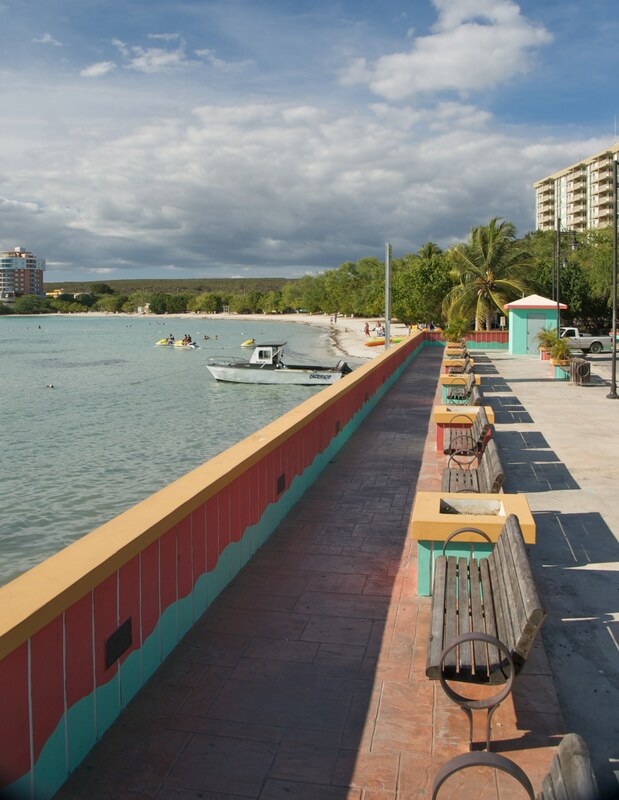 Our inn is located on the harbor just a short distance from the big-city amenities of Ponce. To request space for a Puerto Rico event or meeting, please complete our Meetings & Groups RFP form. 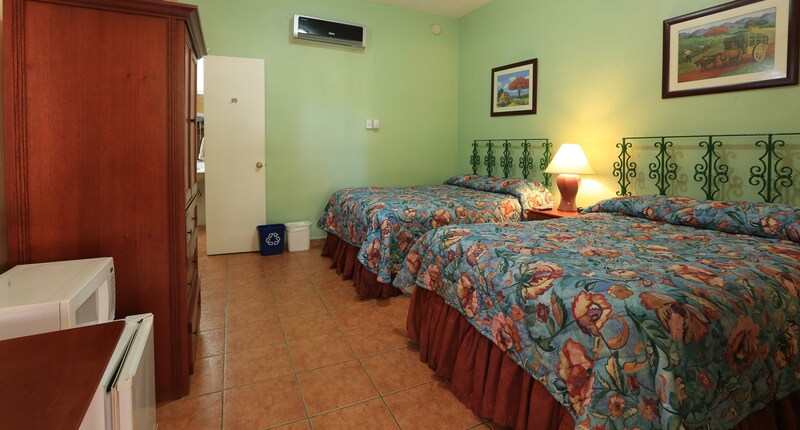 Our Caribbean inn offers the highest-quality accommodations among hotels near San Juan, supplying all the comforts of home in a beautiful beachfront location. Use the contact information below to contact Hotel Parador Guánica 1929. 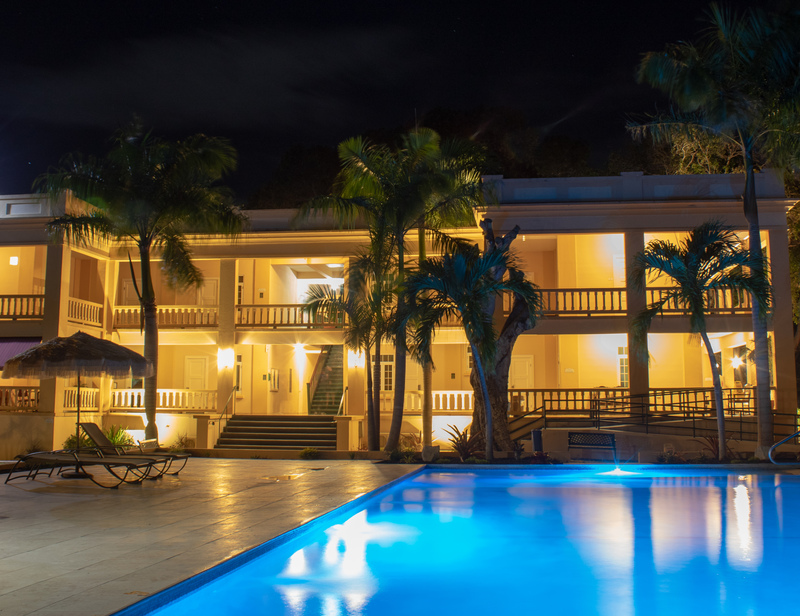 Parador Guánica 1929 is located 1.5 hours away from the Luis Muñoz Marín International Airport (SJU) and 35 minutes away from the Ponce Mercedita Airport (PSE). US Passports are not required for travel to Puerto Rico from any US airport. Taxi Fixed Rates fromSJU Airport to Parador Parador Guánica 1929: $155.00. 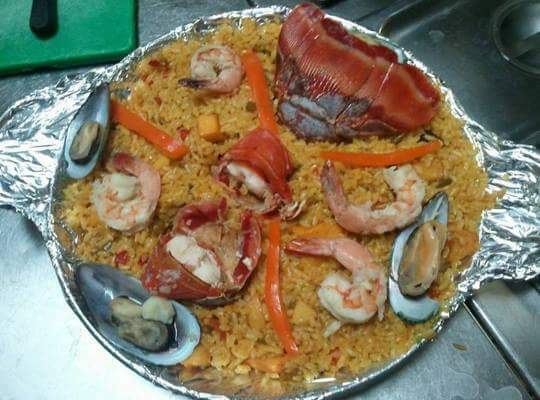 For more information call (787) 969-3260. From San Juan, take Luis A. Ferré highway (#52) to Ponce. The highway becomes Route #2 going west. After passing Yauco, take exit #194 to Road #116. After a few miles, exit to road #3116 to Ensenada. The hotel is nearby on the left side of the road.